I wanted to share my love of tunnel cards with you today since they are a fabulous way of creating cards with dimension. 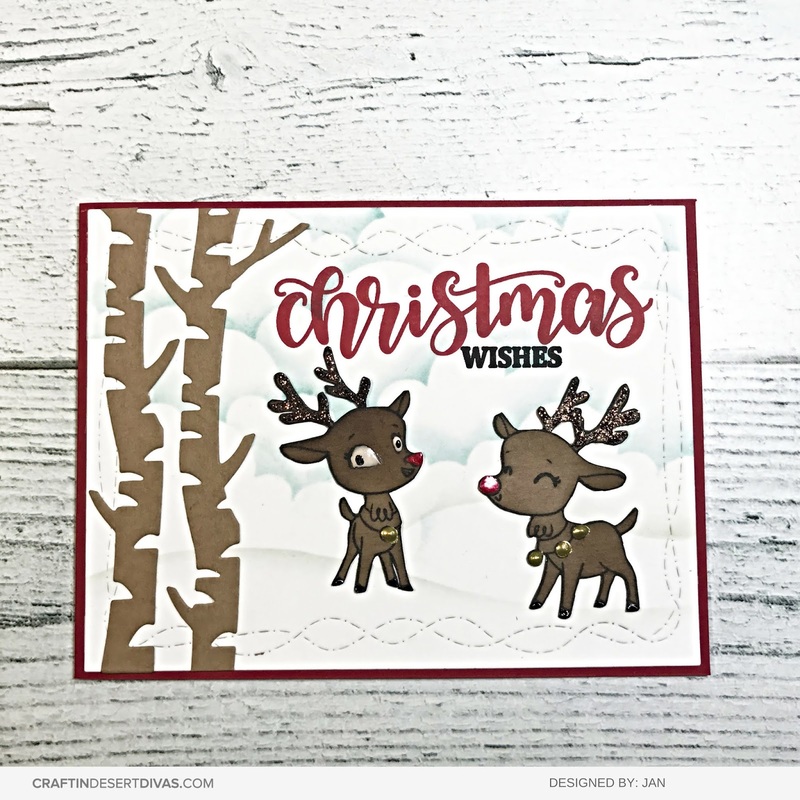 Sometimes I just am not in the mood for coloring and I created this Christmas tunnel card with dies and inks, no colored images in sight! This is a picture heavy tutorial but well worth it! Picture 1: Start by trimming 2 pieces of white cardstock into 8 ½ x 5 ½, this is just taking an 8 ½ x 11 and cutting in half. Trim another piece of cardstock a little bit smaller than 5 ½ x 4 ¼. These will be the base pieces of the card. Picture 2: You will need to score one piece of the 8 ½ x 5 ½ cardstock at 4 ¼. Picture 3: You will take the 8 ½ x 5 ½ piece you just scored and trim ½ off of just one side. Set aside for a while. Picture 4: Take the other 8 ½ x 5 ½ piece and score at three sections on the ½. 4 ¼, & 4 ¾. Picture 5: Take the piece of white cardstock that is a little bit less than 5 ½ x 4 ¼ and score long ways at ¼ on both sides. The trick here is to score one side and then rotate the paper and score the other side to keep the scores even sizes. Picture 6: You will take the 8 ½ x 5 ½ piece that you scored in three sections and place your large rectangle frame die centered on the side with the ½ score line. Run through your die cutting machine and should look like the piece in the picture on the right. Picture 7: Next, you will line up the little bit smaller 5 ½ x 4 ¼ under the rectangle frame you just cut out. In the center you will tape down the smaller rectangle frame die and run through your die cutting machine. It should look like the piece in the picture on the right. Picture 8: This is always my favorite step, die cutting lots of cute pieces that will make a magical scene! I die cut the snowflakes, hill, & mountain tops from white glitter paper and the houses & mountains from white cardstock. Picture 9: To create your background, trim watercolor paper to fit a little larger than large rectangle frame and rub with your anti-static pouch. Next you will use a stencil, I created mine using my cameo silhouette, stamp with versamark, and heat emboss with white embossing powder. Then you will ink it with faded jeans oxide ink. I didn’t go all the way down since we will cover the bottom with our dies. Picture 10: You will adhere your background inside under the large rectangle frame that opens to the right. It should be on the flat part without any scores. Then you will take the little bit less than 5 ½ x 4 ¼ and add 1/8" scor-tape to both sides of scored edges. Picture 11: You will peel off one side of the scor-tape and adhere to the inside of the scored center of your card as shown. Picture 12: This is where you get to see it coming together! You will add the dies to each different layer in the card. First, add the mountains to the back of the card right over the inked background. Second, you will add the houses on top of the smaller rectangle frame in the middle of the card. Third, you will add the snow hill to the back of the large rectangle frame at the front of the card. You can now see all the depth the tunnel card makes! Picture 13: You will now add scor-tape to the shorter side of the scored 8 ½ x 5 ½ that you set aside at the beginning. Picture 14: Next, you will peel off the adhesive and add to the back of the scene card as shown. You want the rectangle frames on the right side. Picture 15: Peel off the scor-tape from the middle, smaller rectangle frame. Flatten out and press down top piece to adhere them together. You are almost there! Picture 16: You will now add scor-tape to the scored ½ flap, peel off, and flatten and press down to put the whole card together. You have now made your first tunnel card! It is a lot of steps but will go much faster the second time around! Picture 17: To make the front of the card, you will use the leftover stitched rectangle from creating the large rectangle frame. I love using leftovers! Trim watercolor paper to fit in the stitched rectangle, rub with anti-static pouch and stamp sentiment using versamark. Heat emboss using white embossing powder and ink with faded jeans oxide ink. For embellishments add three snowflakes, sequins, and white nuvo drops and pop dot on front of card. Hi... Jan's here from handcrafthobby with you today. For this week creative challenge, we have a fun theme : Coloring for Non-colorers for you. I understand that not everyone enjoy coloring especially when you're just started crafting. When you see those adorable images and you want to create cards but frustrated or no confident in coloring. I created a short vdo sharing how you can make use of those images that you like and create a card or more without any coloring. I stamped, inked the images with walnut stain distress ink and fussy cut them out. Adding Nuvo Drops, Stickles or Liquid Pearls will make the images look more dimensional. Using Stencils with distress inks or oxides inks for background. Adding die cuts or small details with gel pen or glaze pen will create the life on the images and make your project looks more interesting. I hope you enjoy my vdo and challenge yourself if you're one who enjoy coloring to create project without any coloring. And those that coloring is not your cup of tea, please don't give up and give these techniques a try. It's much easier than coloring I would say. Thank you for stopping by and I wish you all a wonderful day and happy crafting. Hello there! Michelle here! 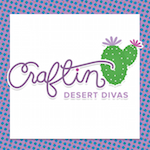 We’re having a troll party here at Craftin Desert Divas, and you’re all invited! My card today displays a previous troll set, Mermaid Trolls in a different way. I paired it up with one of the newest stamp sets, Merry Florals, for a sweet Christmas card! I stamped my images with black ink and colored them with Copic Markers. I created my bokeh background using distress oxide inks in candied apple, picked raspberry and mowed lawn, and splashed the background with some water. Than I added some white dots in different sizes. 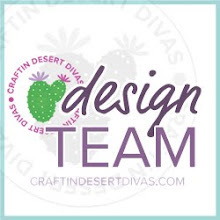 Tip: To add the white dots I make my own stencil using different size circle dies. Tip: Create your own frame using two dies that fit inside one another! One that cuts the outside, the other cuts inside. Stamp your sentiments, assemble your card, and add your finishing touches. Lately I’ve been adding stickles glitter glue to everything!